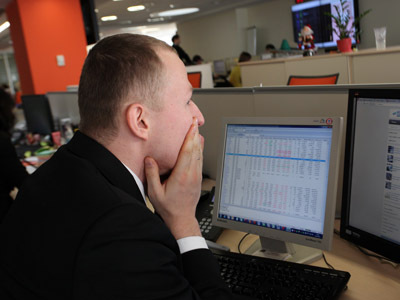 Russian markets are expected to trade flat on Friday as many investors are leaving the floor ahead of the May holidays, while other wait for US GDP data. ­The preliminary stats on GDP growth for the first quarter are expected later on Friday. US stocks climbed for the third day in a row after data showed that home sales rose 4.1% in March to a two-year high. 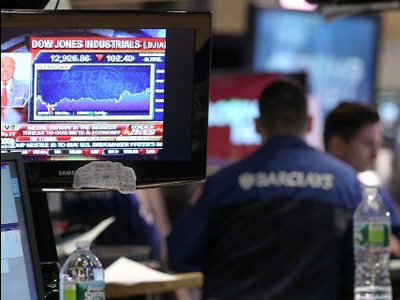 The Dow Jones gained 0.9%, while the S&P 500 and the Nasdaq Composite both added 0.7%. Most Asia markets fell Friday, with investors in Tokyo cautious ahead of a policy decision from the Bank of Japan. Australia’s S&P/ASX 200 shed 0.2%, while China’s Shanghai Composite and Japan’s Nikkei Stock Average both declined 0.1%. But Hong Kong and Seoul bucked the trend as the Hang Seng climbed 0.4%, and the Kospi added 0.3% after record results from Samsung Electronics Co.
European markets closed mostly higher Thursday as good earnings from Royal Dutch Shell and Volkswagen supported indices. Volkswagen AG shares jumped 7.8%, while Royal Dutch Shell added 3.5% after reporting 16% growth in adjusted profit for the 1Q. Meanwhile the European Commission reported that the eurozone economic sentiment indicator dropped to 92.8 in April from 94.5 the previous month. The Stoxx Europe 600 ended 0.1% higher, while the French CAC 40 was 0.1% lower and Germany’s DAX rose 0.5%. 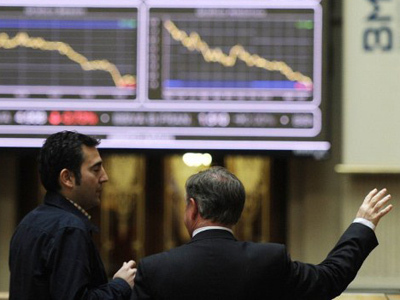 Russian stocks closed in the red on Thursday, weighed down by the eurozone economic sentiment indicator falling more than expected in April. The MICEX dropped 1% and the RTS shed 0.56%.